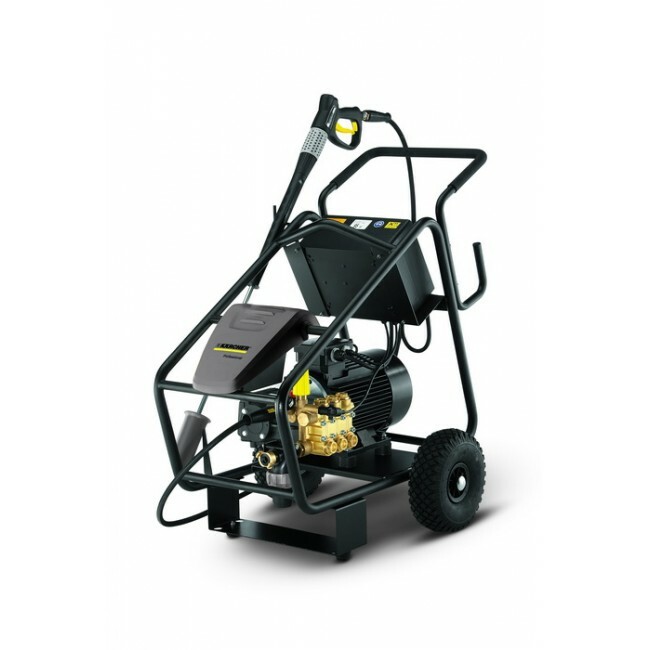 Special class 3-phase cold water high-pressure cleaner for continuous operation in tough operating conditions. With tough steel frame, 150 bar pressure and 2000 litres per hour water flow. The HD 20/15-4 Cage Plus has been designed for daily use in harsh conditions. 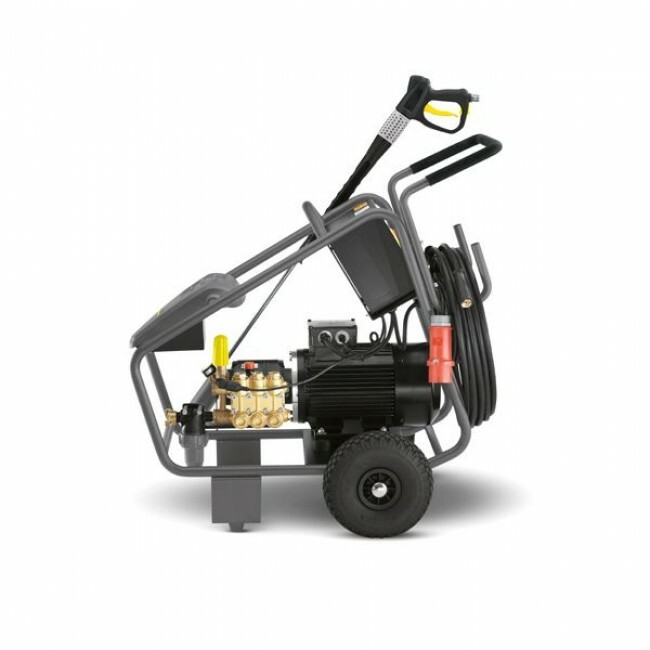 This machine offers superior performance with a range of special features and high-quality accessories. Featuring a high-quality Kärcher crankshaft pump with a high water flow rate of up to 1600 l/h for superior cleaning performance in highly water-intensive tasks. Suitable for extreme cleaning jobs in large stables or quarries, stone-crushing plants and on other large construction sites in earthworks and excavation. Features include pneumatic tyres for easy manoevrability and use on uneven surfaces.